Good afternoon surfers! 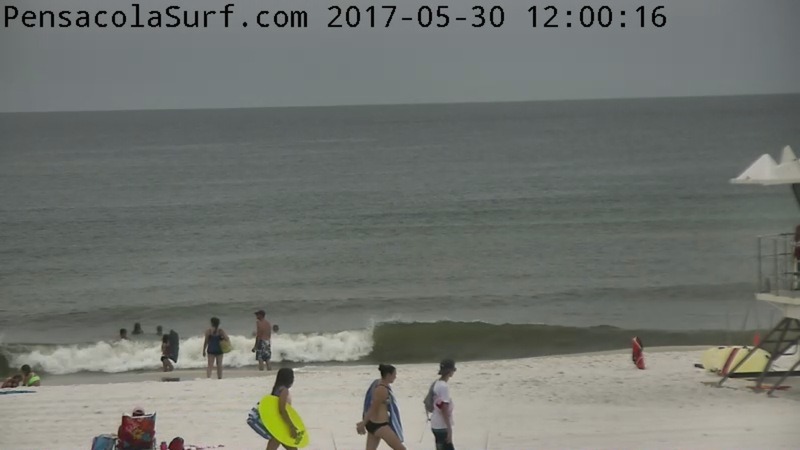 We have a few waves hanging around with offshore winds. There have been a few jellies around, by t the water is getting clear and it looks fun for teaching kids to surf. You could probably ride a few into the beach on the right sandbar. The tide is getting full, so most of the regular spots aren’t breaking. 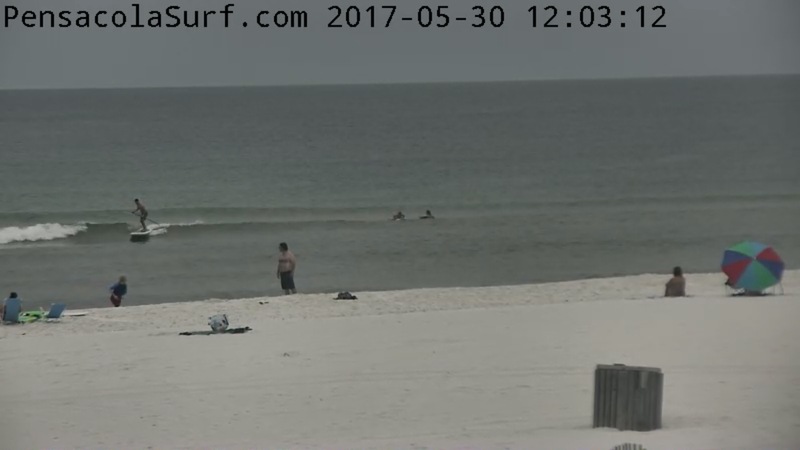 The wind is still out of the Northeast and very light at 5 mph and it is forecast to come onshore this afternoon. There are plenty of clouds and a few storms hanging around, but it’s nice out right now.